Looks like the old man's still got it. That 39-year-old Manny Pacquiao beat 35-year-old Argentinian Lucas Matthysse on Sunday in Malaysia wasn't too surprising since he was a -240 favorite to win. 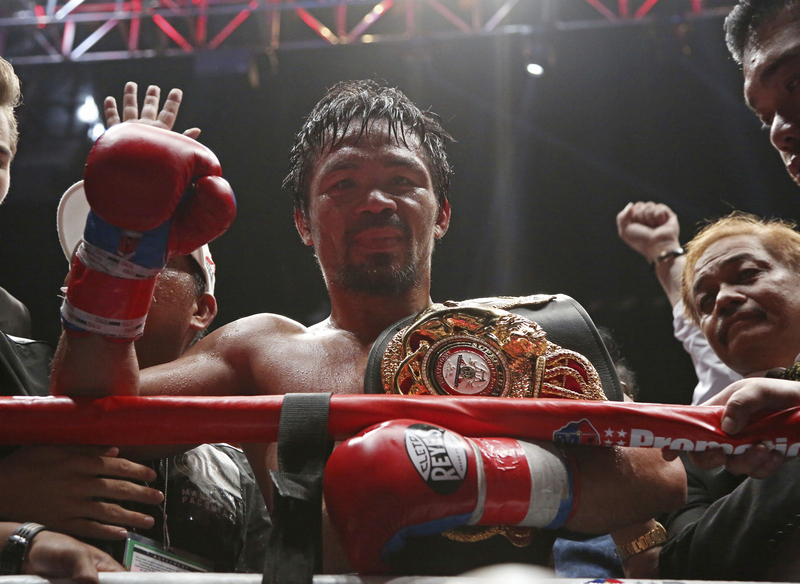 But Pacquiao dominated, which provided value to his bettors. Looks like the old man's still got it. That 39-year-old Manny Pacquiao beat 35-year-old Argentinian Lucas Matthysse on Sunday in Malaysia wasn't too surprising since he was a -240 favorite to win the match on Saturday at the Westgate Las Vegas SuperBook. But Pacquiao dominated, which [provided value to his bettors](https://www.betchicago.com/manny-pacquiao-lucas-matthysse-odds-betting). The Filipino rocked Matthysse with a lefthand uppercut and the fight was stopped at 2:43 of the seventh round, giving Pacquiao his 60th career victory and the WBA welterweight title. He had lost four of his last nine fights, including a controversial decision to Jeff Horn last July. <a href="https://twitter.com/JamiePandaram/status/1018345154346770434" class="embedly-card" data-card-width="100%" data-card-controls="0">Embedded content: https://twitter.com/JamiePandaram/status/1018345154346770434</a> Pacquiao (60-7-2, 39 KOs) hadn't had a knockout since a TKO victory over Miguel Cotto in Nov. 2009, but he knocked Matthysse down three times on Sunday. Matthysse (39-5, 36 KOs) was knocked out only once before, Oct. 2015 against Viktor Postol. Betting the UNDER of 10.5 rounds was +240, while betting Pacquiao to win in the seventh round was 40/1.